An interesting psychological thriller full of suspense that although I enjoyed, it took me quite a while in before I connected with the main character, Anna, for some reason; I've been wracking my brains trying to think why but I just can't come up with an explanation and because of this, I don't think I enjoyed it as much as I could have which is a shame because it's a great story and not like anything I have read before. The story is told completely from Anna's perspective but because of her fragile mental health and the wine and medication concoction, you question whether what she is saying is actually what is happening ... as she herself ends up doing. I found it quite a sad book overall and I felt a lot of empathy for Anna and her situation but it was also a story of triumph over adversity with a gradual build up to the explosive ending which I found very satisfying. Overall, a pretty good debut that is not full of the usual blood and violence ... it's definitely a slow burner that builds and builds to a satisfying conclusion. 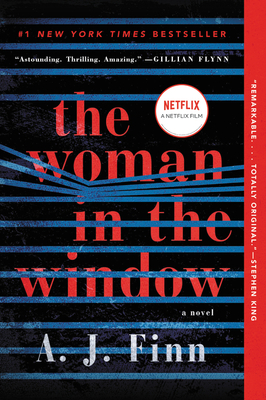 I think this book would transfer really well to the big screen and I am pleased to note that it is in development as a major motion picture from Fox - it's just a shame that Alfred Hitchcock isn't alive to direct it! Thanks to the publisher, HarperCollins UK HarperFiction and NetGalley for my copy in return for an honest review.